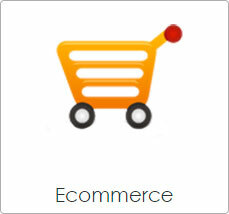 With the ecommerce module you can sell your products online. 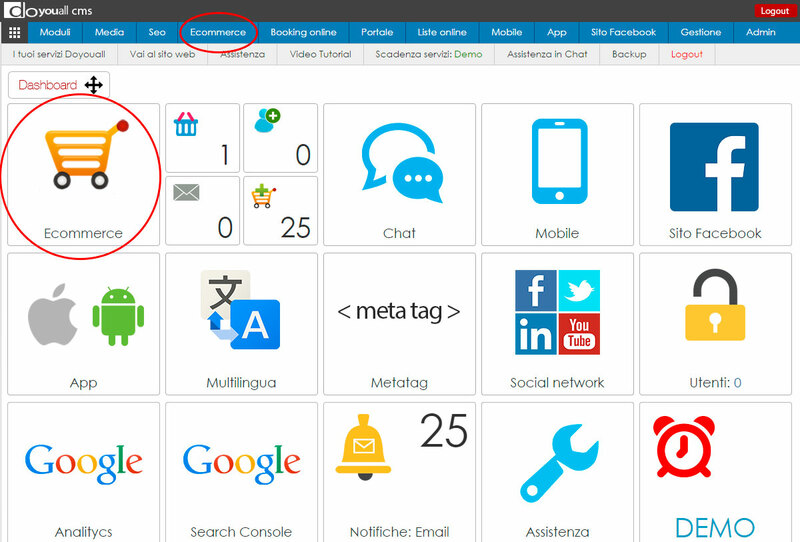 Click the CMS button in the left menu of the website to access product management and ecommerce options. 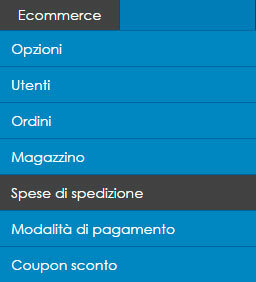 Go to the ECOMMERCE button in the CMS navigation bar, and click the OPTIONS button. or from the dashboards click the ECOMMERCE button. You will see the list of Products on the website. 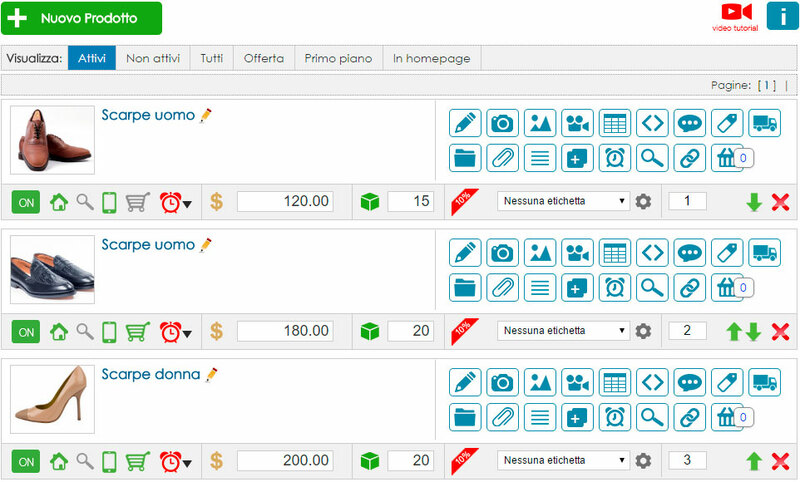 Already from the first screen you can quickly change the main information such as price, quantity, product name, category, and photo. Click the pencil icon to access the product tab and modify all of the data in the form of a pencil icon. In the CMS navigation menu, under Ecommerce, click the USERS button. You will see the list of registered users on the website. In the navigation menu, click the ORDERS button to view the orders received from the website. In the warehouse you can see all the products inserted, quickly modify the quantity, availability and price values. Click the New Shipment button to insert a new type of shipping. Enter the name, cost, description, and photo. You can also include different price faces based on the weight range of the ordered items. There are many types of payment available. Enables / disables payment types according to your needs. We can estimate activation upon request of other types of payment. You can enter a description text, a photo, a percentage cost to add to the total. 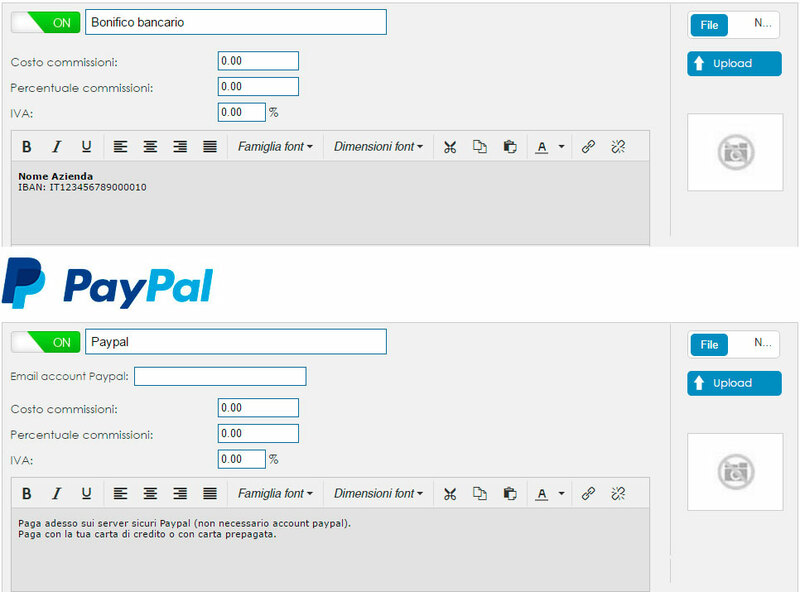 For each type of payment you must enter the data required for the connection, for example, to activate Paypal you simply enter your email address with which you have registered your account on Paypal. Create a New Coupon Discount. The code is unique and is generated automatically, but you can still customize it. Choose the typology of calculation, which products and how many times apply it. Enter the cost and any notes. Customers in the order will be able to apply the coupon and apply their discount.